Both Democrats and Republicans largely accept that the immigration system is broken, but it remains to be seen whether reforms proffered by the Senate and House leaderships will unite the majority. Immigration still elicits fear and mistrust, and not just on the part of the “receiving” society, despite having occurred for thousands of years throughout human history. Communities from which people immigrate often disapprove of the immigrants’ decision and consider it treacherous. The recent reawakening of the debate about immigration in the new millennium has evoked intense emotion, particularly in the United States and Europe. Global Crossings makes a call for a pro-legal immigration reform as an alternative to the flawed solutions being proffered by progressives in Congress. This agenda will make immigration a defining force in the arena of competitive globalization and the people of those countries who embrace immigration will enjoy more prosperous, peaceful, and freer lives in the emerging world. Get Your Copy of Global Crossings TODAY! Migration has been happening, in varying forms, for millennia but it still elicits fear and mistrust, and not just on the part of the “receiving” society. Communities from where people migrate often disapprove of the migrants' decision and consider it treacherous. The recent reawakening of the debate about migration in the new millennium has evoked intense emotion particularly in the United States and Europe. Global Crossings cuts through the jungle of myth, falsehood and misrepresentation that dominates the debate, clarifying the causes and consequences of human migration. Why do millions of people continue to risk their lives, and oftentimes lose it, in the pursuit of a chance to establish themselves in a foreign land? TBD Alvaro Vargas Llosa to speak at the Manhattan Institute. Stay tuned for details! Wed., Oct. 16, 2013 Books I Read and Liked in the First Half of October 2013 Sr. Fellow and author of Global Crossings Alvaro Vargas Llosa, cited on Grasping Reality with Both Hands blog. Tue., Jun. 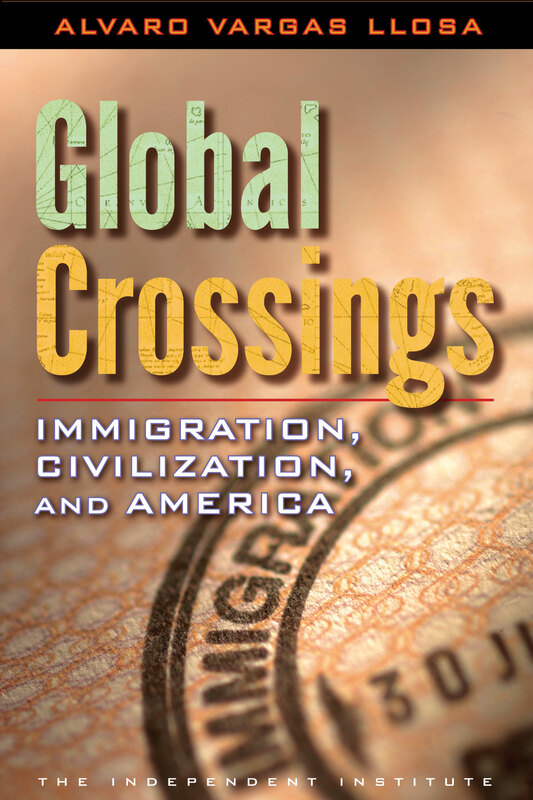 18, 2013 Alvaro Vargas Llosa, author of Global Crossings to appear on Diane Rehm Show on National Public Radio Tuesday, June 18 at 11:00am EDT. Mon., May. 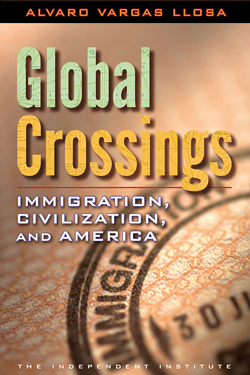 13, 2013 Author of Global Crossings Alvaro Vargas Llosa to Appear on Fox News Hannity Friday, May 17 at 9 pm EDT.